Wisconsin has a strong tradition of producing some of the best tailbacks in college football year in and year out, and last season proved to be no different. 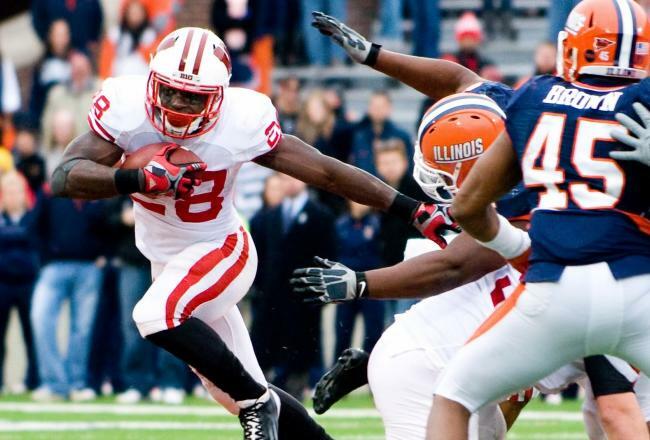 The latest product in a long line of running back greats is Montee Ball. The 5’11” 212-pound workhorse led all rushers in 2011 with 1923 yards. During conference play, Ball averaged 155 yards per game and even cracked 2 bills twice last season (11/5 Purdue-223, 11/19 Illinois-224). The biggest disadvantage facing Ball this season is that he won’t have transfer standout Russell Wilson at quarterback. Defenses had a difficult time slowing these guys down and the threat of the pass opened up plenty of space for Ballto do what he did best: score. The senior took the rock to the house an astounding 39 times (33 Rushing, 6 Receiving)! Now while I don’t believe Ballwill be able to duplicate these same stats in 2012 I do think he’s capable of returning to the Heisman ceremony at the end of the season. 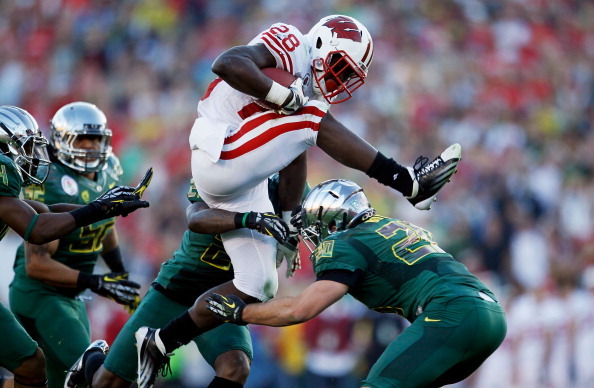 Montee Ball is definitely a player to keep tabs on in 2012.